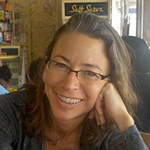 Lisa Dillman was raised in California and studied Spanish at the University of California, San Diego before completing an M.A. in Spanish Literature at Emory and a second M.A. in Literary Translation from Middlesex University in London. She is co-editor (with Peter Bush) of the book Spain: A Literary Traveler’s Companion and has translated many novels and scholarly works, including Zigzag (by José Carlos Somoza), The Scroll of Seduction (by Gioconda Belli), Pot Pourri: Whistlings of a Vagabond (by Eugenio Cambaceres), Op Oloop (by Juan Filloy), The Mule, by Juan Eslava Galán (the original novel was turned into a motion picture), Critical Dictionary of Mexican Literature (by Christopher Domínguez Michael), The Frost on His Shoulders (by Lorenzo Mediano), Me, Who Dove into the Heart of the World (by Sabina Berman). She also co-translated The Polish Boxer (by Eduardo Halfon) with a team of five (Ollie Brock, Danny Hahn, Thomas Bunstead and Ann McLean) and his novel Monastery with Daniel Hahn. Most recently, she has translated several works by Andrés Barba (After the Rain; August, October; Death of a Horse; and Such Small Hands) as well as Yuri Herrera’s Signs Preceding the End of the World and The Transmigration of Bodies. In 2016 she won the Best Translated Book Award for Signs Preceding the End of the World.